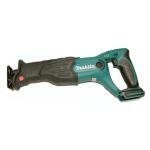 Makita BJR182Z Expert Reviews - Read Reviews and Buy Smarter Online. Verdict: I replaced my DeWalt saw that used the old batteries that were never ready with this one (along with other Makita tools). I got a bunch of tools and several batteries. I love them. They are ready when I need them! !